The DiMarzio Evolution bridge humbucker with F (Floyd Rose vibrato) spacing was developed entirely based on the ideas of the incredible guitar acrobat of the '90s, Steve Vai. The sound is loud and aggressive in the highs and mids, the bass range powerful without sounding dirty. 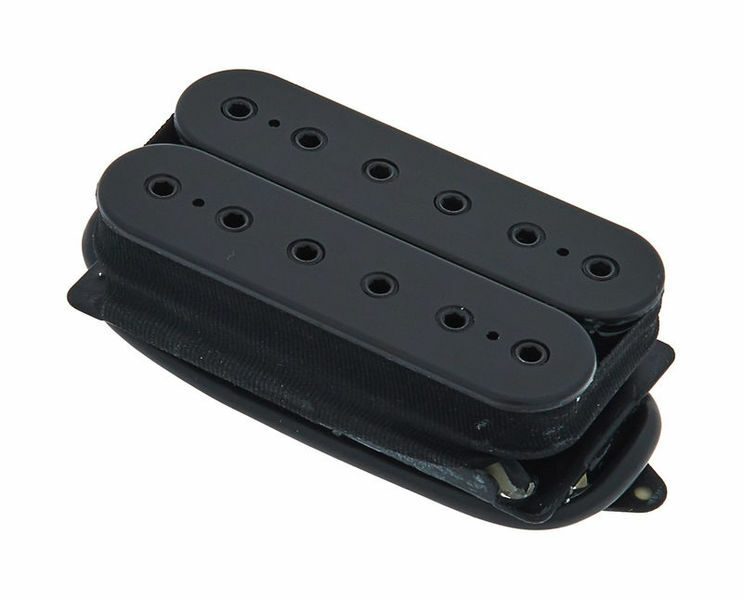 You don't have to be called Steve Vai to enjoy the advantages of this pickup! 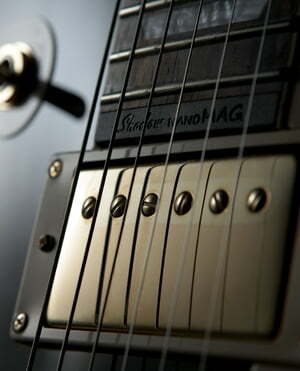 Bons pickups, alias muito bons pickups, som puro e genuíno caracteristico do guitarrista Steve Vai. Apesar de todos os fios, normais e necessários, são de fácil instalação, pois o fabricante tem bastante informaçao incluida para a "soldagem" dos fios. Muitos bons. Brown sound...believe it or not! I use this pick-up in a Les Paul (with a Floyd Rose) through a JCM800 and it gives me the "brown sound" like no other pick-up I've ever tried!! I love Steve Vai, but I couldn't care less if this was his product or not!! This is a must have in at least one of your twangers! I had read bad reviews before buying it, saying it was "way too bright", but in my opinion it all comes down to which guitar you have! Do you have a very bright sounding guitar? Forget about this one! You'll be disappointed and will probably write a bad review for being a dumbass. Do you have a more "mid-sounding" or dark sounding guitar made outta for instance mahogany or basswood and looking for a pick-up with massive output without losing character? BUY THIS ONE! ID: 125180 © 1996–2019 Thomann GmbH Thomann loves you, because you rock!